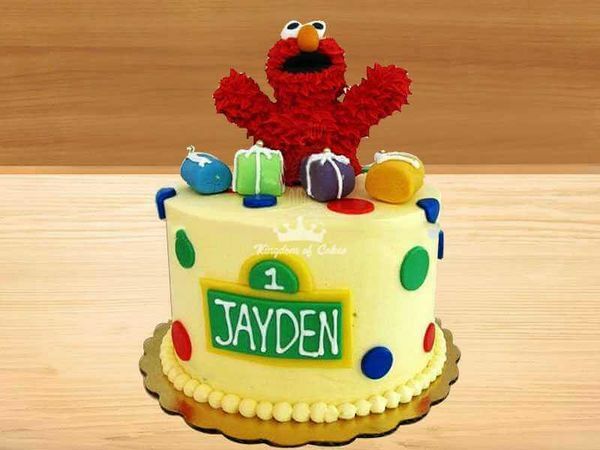 A cake to describe in the mood of your notorious kid who always makes excuses for not studying but splurging into his Elmo world fantasies with this Excuse me, Elmo Birthday Cake. Perfect for kid’s birthday party and to drive all the kids to go crazy with the penguins. All you need to do is order this yellow fondant one with bright colored fondant sugar candied gifts to blast the kid’s party mood.